What Are the Important Considerations When Buying A Church Espresso Machine? A church café is an important part of any active church, as members love to come together to enjoy fellowship over a cup of coffee and a snack. If your church is looking to update the equipment in their café and needs a new espresso machine, then they will want to opt for something that is not only easy enough to use and will produce consistent results but is also powerful enough to provide back-to-back drinks without failing. This machine also needs to be the right price, as churches don’t always have a huge budget for their café equipment, but it’s very important to remember that quality matters. It can be really difficult to try to find the right equipment for your church café on your own, especially since there are so many different options available on the market. Instead of getting overwhelmed, it’s a much better idea to simply rely on this guide to provide you with the help that you need in choosing the correct espresso machine. Rather than worrying about purchasing an espresso machine that isn’t durable or hardy, by opting for the Delonghi ESAM3300, all churches can make sure that they are able to make the espresso drinks that their members crave. When looking for a new espresso machine, there are a few things that you must consider so that you can be sure that you buy the right one for your church. It’s easy to simply look at the price of the machine, and while your budget is an important consideration, this should not be the most important factor that you consider. Ease of Use – you want to make sure that your espresso machine is easy enough for people to use it or they are simply going to be frustrated when trying to make a drink. The Delonghi ESAM3300 features an easy-to-use control panel that is designed to be simple for people to understand. Maintenance – maintaining an espresso machine is important to keep it working correctly and prevent it from becoming dirty. Because this machine doesn’t require using monthly chemical cleaning tablets the way that some other espresso machines do, it’s much easier to clean. 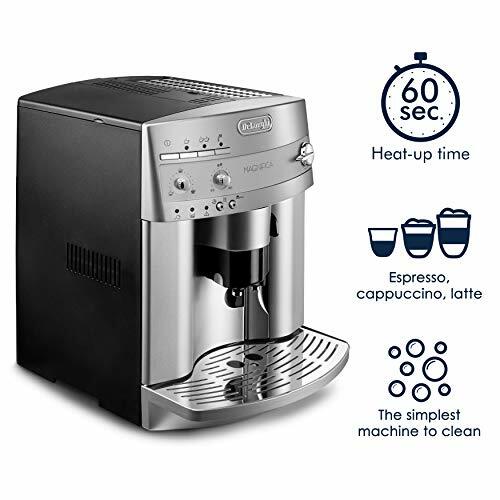 Performance – such as an espresso machine, the quality of beans matters when making a great drink, but the Delonghi ESAM3300 makes it easy to create delicious beverages. It can easily grind beans inside the machine, which not only speeds up the brewing process but also frees up counter space as your church won’t need a grinder. One feature of the Delonghi ESAM3300 that makes it a better option than other espresso machines on the market is that it has an integrated burr grinder. This shows great attention to detail and makes it incredibly easy to grind beans inside the machine, which results in incredibly fresh coffee drinks. Additionally, this espresso machine has an instruction manual that is very clear and helps walk new users through making a drink. This ensures that everyone using this machine will be able to easily create delicious beverages and makes it possible for the church to train a lot of people on using the machine. 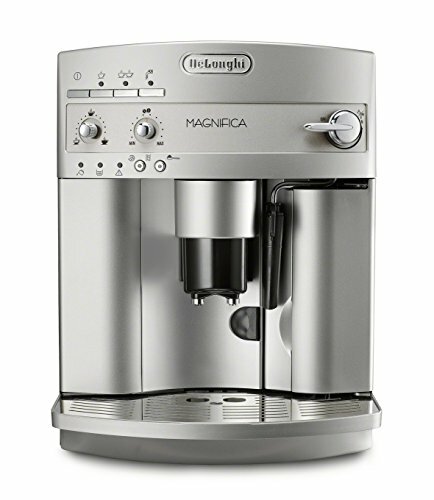 This powerful machine has one of the smallest removable brewing systems in an espresso machine on the market. This means that users enjoy incredible heat distribution that results in perfect espresso drinks every single time the machine is used without drinks varying in temperature or flavor. This consistency is important and is one place that the Delonghi ESAM3300 really shines. The grinding level is easy to change, which makes it possible to customize drinks. Any church that has true coffee fans visiting the church café will appreciate that they can adjust the grinding settings to enjoy custom drinks for every person. Any espresso machine is going to have its own sets of pros and cons. One of the main pros of the Delonghi ESAM3300 is that it only needs to be descaled four times a year. This process is fast and easy and will result in better tasting drinks with minimal effort. Another reason that this machine is a great choice for any church is because of the push button control panel, which makes programming drinks easy. The Delonghi ESAM3300 has a frother wand to make creamy and luxurious froth for beverages. 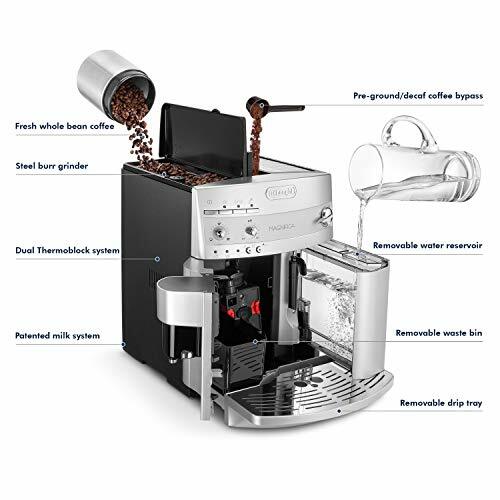 Additionally, this espresso machine has a stainless steel double boiler to ensure that the insides of the machine are sterile and clean, reducing cleaning and ensuring great-tasting drinks. Unfortunately, this espresso machine does tend to be really loud, especially when it is first turned on, which can be a problem for some churches, as they don’t want their cafes to become too noisy. 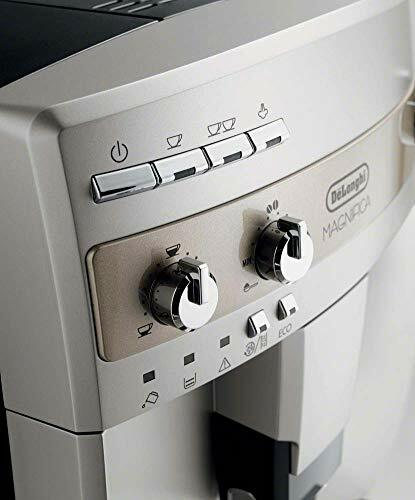 Another common problem with the Delonghi ESAM3300 is that it tends to go through water really quickly when steaming, which means that the user needs to be aware of the water level and add more on a regular basis, especially when making a lot of drinks all at once. Any church looking for a powerful espresso machine that can easily perform for long periods at a time without the quality of drinks suffering will be happy with the Delonghi ESAM3300. This is an impressive machine that is designed to not only produce consistent results every time that it is used but also to be very user-friendly. This means that once a person is trained on how to use the Delonghi ESAM3300, they will be able to create incredible custom drinks without any problems and without any delay. 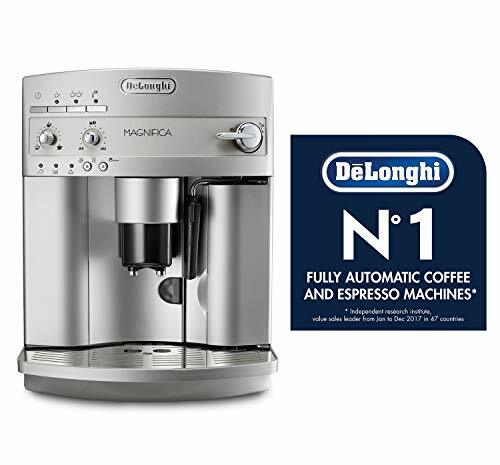 The Delonghi ESAM3300 doesn’t take up very much space on the counter, which makes it a wonderful option for both larger and smaller church cafés alike. Thanks to its smaller footprint, it can easily be added to the existing space of a café without requiring a lot of movement or changing. Additionally, this espresso machine grinds and brews from the same unit, saving even more space, time, and frustration. Adjusting the settings on the machine is fast and results in custom drinks that everyone in the church will love. 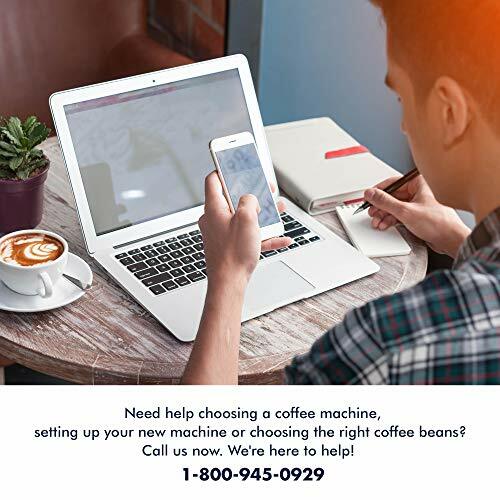 Since it is so easy to use and creates delicious customized espresso drinks with the touch of a button, it really is an incredible choice that will benefit any church café.